LiveCode LessonsLiveCode LessonsHow To - LiveCode Mobile Tasks Android TasksHow do I use Push Notifications with Android? 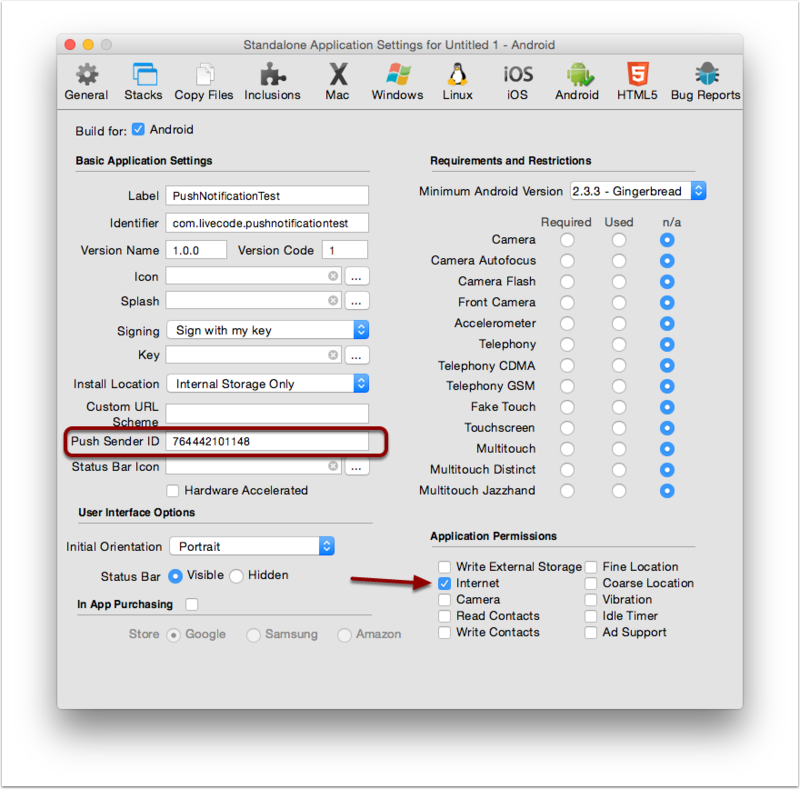 ﻿This lesson describes how to set up Push Notifications for Android Devices. Screen captures and a sample stack are provided. Push Notifications allow you to send notifications from a server directly to an Android device. This reduces network bandwidth for applications that may normally poll a server at intervals, in order to receive an update on information the user may be waiting for. Although Push Notifications are convenient and reduce network traffic, they are not supported by every service, both on the server side and the application side. In order to set up Push Notifications, it is necessary that the devices register with the server. The server needs information on what device the notification is to be sent to. The device also needs to be able to receive the notification and act upon it. 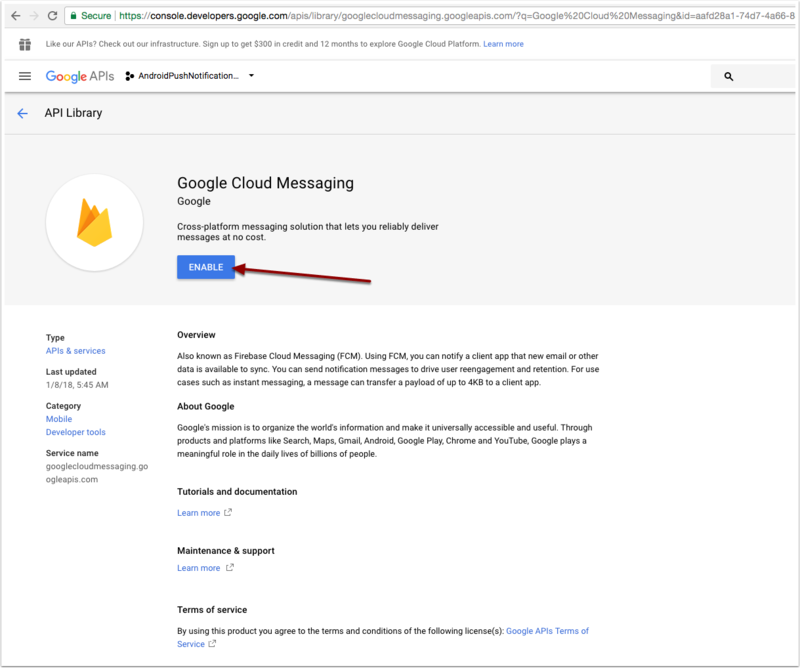 Give a name to your new project and click "Create"
Then choose "APIs & Services" and then "Library"
Search for "Google Cloud Messaging" and click on the first result, as shown above. Next, click on the "Credentials" option in the left pane. Next, click on the "Create Credentials" button, as shown above. 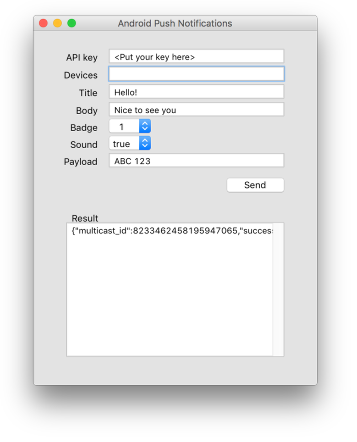 You have now created the API Key. Click on "Copy" and paste the API Key to a safe place. I have hidden the last part of my key for security. Select the "Key restriction" level, and click on "Save". For simplicity I have selected "None", but it is suggested to add a restriction level. 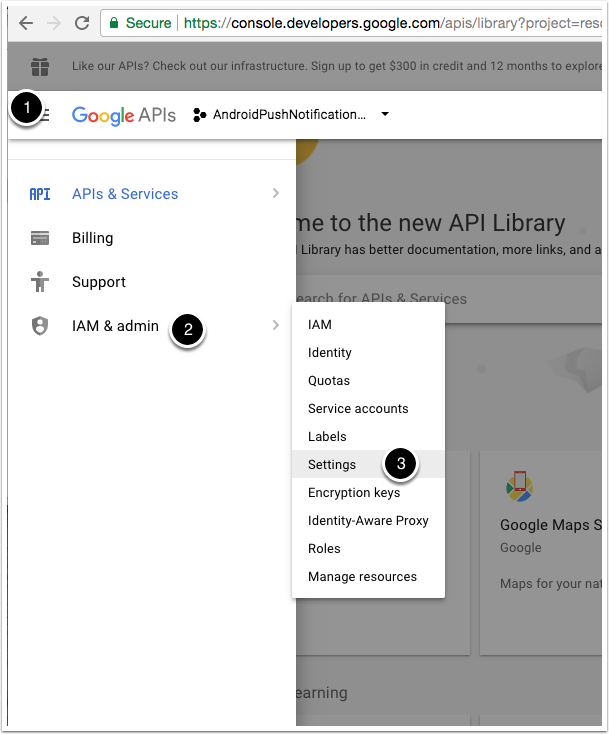 Click on the hamburger icon (1), then select "IAM & admin" from the dropdown (2), and then "Settings" (3). Write down the "Project Number". This will be used in the Standalone Application Settings for Android, in the field "Push Sender ID". 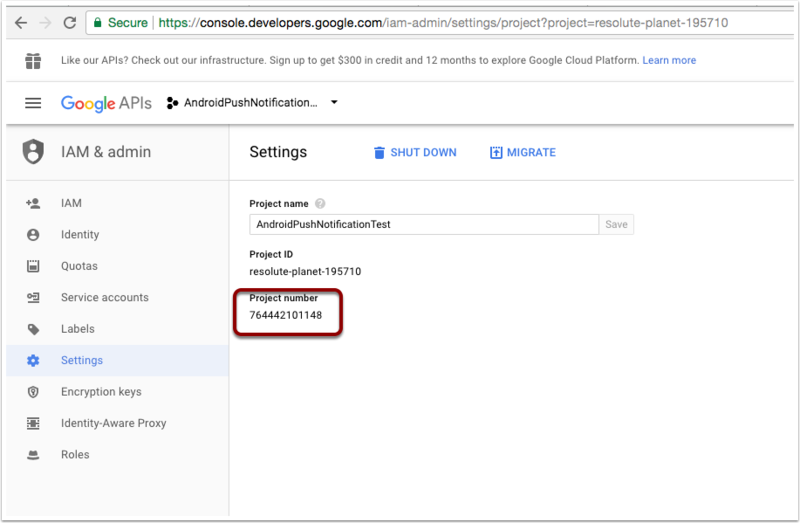 Go to Standalone Application Settings for Android, and in the field "Push Sender ID", fill in the "Project Number" you wrote down in the previous step. Moreover, make sure you have enabled the "Internet" permission. 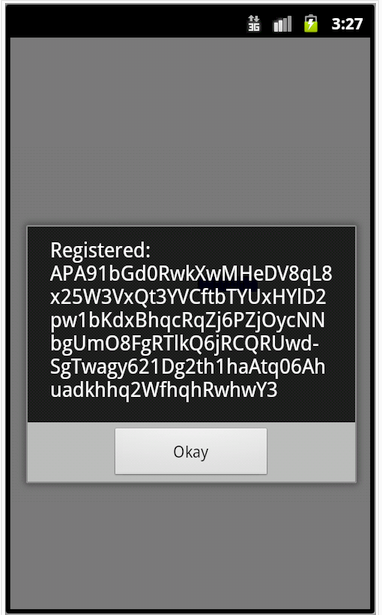 answer "Registered:" && quote & pMessage & quote with "Okay"
Using the sample stack provided with this lesson, you can send a Push Notification to the device. 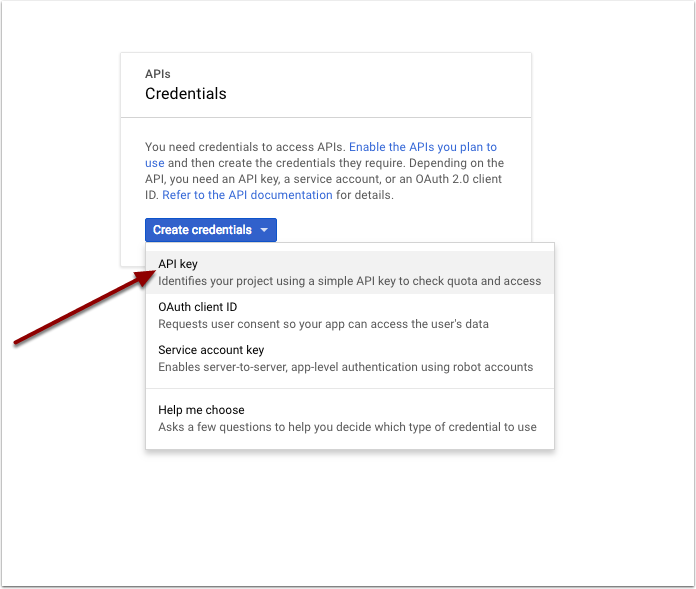 The API Key is the key created in the step "Creating API Key for Access". In the "Devices" field enter the token generated in the step "Writing a LiveCode Application with Push Notification Support". Enter the "Message", the "Title" and the "Payload" that are to be delivered to the device. The message and title are displayed by the Android Operating system in different locations, depending on the version of the device and the activity of the application that is receiving the notification. The payload is delivered as a message to LiveCode. What is in the Push Notification? LiveCode uses the following fields to store and process push notification information. data.body - The message body displayed in the status bar (default: "User interaction requested"). data.title - The title of the message displayed in the status bar (default: the app label). data.badge_value - The badged number to display along with the statusbar message. data.play_sound - A Boolean that indicates whether or not a sound should be played when the notification is received (true / false). data.payload - The message that is delivered to the app in its remoteAlert handler. This information is needed when creating the notification you plan to send to an Android device. Prev: How do I Create an Android App for Distribution? Next: How do I Create a Self-Signed Certificate for an Android App? C2DM has been officially deprecated as of June 26, 2012. The cloud version seems much more of their api integrated. How do livecode uses proceed now? the LiveCode engine can operate without any changes when you migrate from C2DM to GCM. However, it is necessary to make some changes to your LiveCode application. 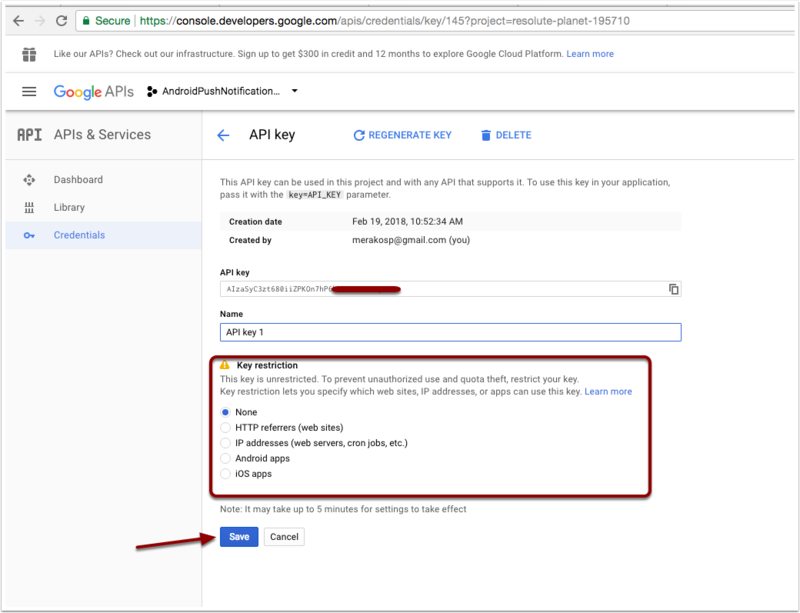 You have to replace the current developer email address that is passed in the sender parameter of the registered intent with the project ID that is registered when signing up with GCM. The server side also requires modifications, but these are also minor. In particular have a look under the headings "Client changes" and "Server changes". It's not at all clear from this lesson how one acquires a registration ID for the android device. 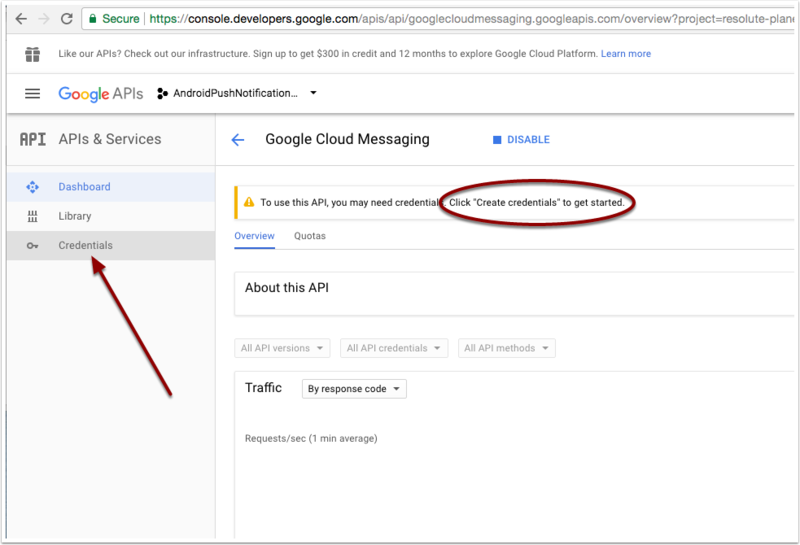 As far as I can understand from the lesson, Google's GCM service should simply respond with a registration ID if a Livecode app running on an android device contains a handler with this signature: "on pushNotificationRegistered tMessage". I've built such an app and loaded into an android device, but nothing happens. If the client registration ID is acquired by some kind of magic, I doubt that it will work for GCM as it does for C2DM, since the service endpoints (URLs) have changed. On my device the pushNotificationRegistered message is not called, and I don't see from this lesson what could possibly trigger an action resulting in it being called. I've also seen (e.g. on StackOverflow and on the Google Groups forums), that there is a lot of confusion amongst java developers, concerning the different IDs (server, browser, client) used for GCM, and particularly how to get the client registration ID. So this lesson needs to be updated for GCM. Most of the instructions to be found in other resources assume that people are going to install additional elements to the android SDK, modify java files, install ant, and build the google-supplied GCM demo app in java, then load that onto their devices -- all in order to obtain a registration ID. That seems like an unnecessary excursion for Livecode developers. I have got the pushNotificationRegistered message to trigger. The sender id (in the standalone application settings) needs to be the numeric project ID found in the URL of the Project page(s) in the Google API GCM console (something like "project:XXXXXXXXXXXX:access" in the URL when one is on the Google website, where the Xs represent the project's numeric ID required for the standalone settings). I used the example in this lesson and emailed the client registration ID to myself, so that my server code could then address the individual devices in the GCM messages I was sending. can we get push notification without using gcm and withour placing app in playstore? It works great. I sent a push notice and it worked. But, how do I get the message received to open in the app? Right now, when I select the message it just vanishes from my notification area. Thanks! you have to handle the pushNotificationReceived message that is called once the push notification is received by your device. Thanks Hanson. That issue is solved. Now I have to figure out why a second, or later, notice sent does not update if the app is still in the recent app list. If I remove the app from the recent app list it is fine. But that is not commonly done. If the application is in the recent app list and it is suspended, then it is possible that the notification does not get received. We will investigate if this is something we can address. Upon further testing, if the app is exited with the back button, it receives the next update. Only when exited with the home button is there an issue. If he app is cleared from recent apps, or is re-opened, exited with the back button, then re-opened it receives the update. thank you for the update. Yes, we were assuming that it had something to do with a particular state of the application. I have filed a bug report for development to look into the issue. Hi, I tried to use your push notification sample but I couldn't figure out the Device ID prompted. Bernard had the same issue and discussed the issue slightly further up the list of comments. This should address the issue you are having. I used to use this lesson to work with Push Notifications. 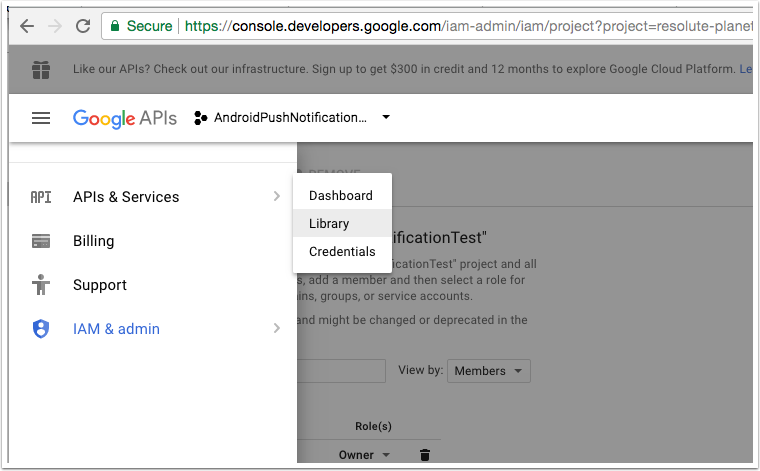 However, Google has now switched to a system called Firebase and I cannot get push notifications to work anymore with Livecode. Is there an update how to use Android Push Notifications with Livecode? I think the most relevant part of the discussion there is that you can use FCM to send push notifications to LiveCode apps. Hi all, thanks for your comments on this so far. FCM itself is built upon the existing GCM messaging infrastructure so apps using GCM should continue to work. It is also possible to use FCM to send push notifications to existing LiveCode apps with only a minor modification to the standalone settings, with no changes to the manifest required. 3. Click the settings icon and navigate to "Project Settings" then "CLOUD MESSAGING"
4. Replace the "Push Sender ID" in your app's Android standalone settings with the numeric "Sender ID" listed on that page. 5. Replace the server key you currently use to send push notifications with either of the "Server Key" or "Legacy Server Key" strings listed on that page. You should now be able to send push notifications to your android apps once again. There is some other information in the comments on the bug report that you might find useful.